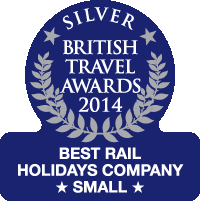 Ffestiniog Travel: Never too Early to start Planning for Christmas! Never too Early to start Planning for Christmas! Perversely as we warm up for the summer months we have reached the point when details of our Christmas rail holidays have been finalised and it's time to share them with you. Ffestiniog Travel's annual Pre-Brochure, outlining our escorted rail holidays for 2016, has been published and should be reaching your homes this weekend. 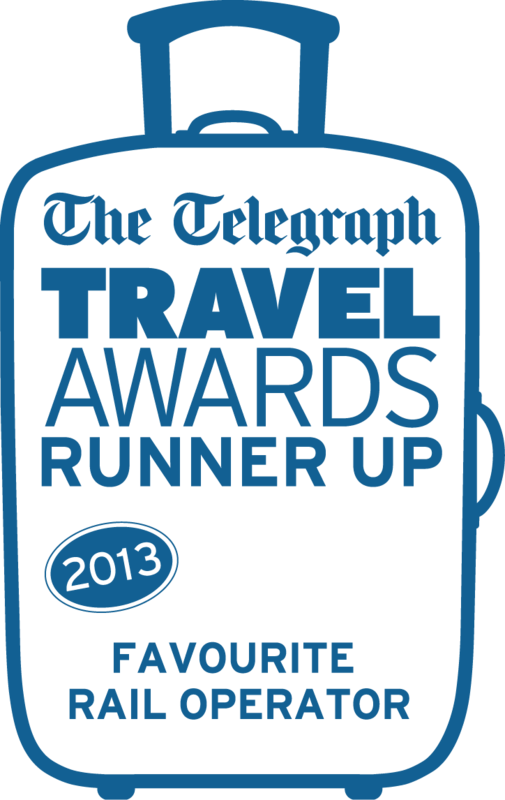 But before you start planning next year's holidays why not consider a festive getaway in 2015. We are excited to be visiting two of Europe's most attractive cities this year in the build up to Christmas. Our Christmas Market tours to Dresden and Prague will provide the backdrop for a festive winter wonderland when you can enjoy some merry shopping or explore the cities and nearby areas during this magical time of year. Both tours are 8-days long and depart 26th November 2015. 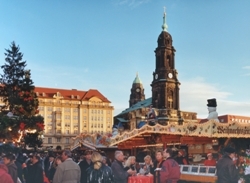 Dresden's Christmas Market holds the accolade of being the oldest in Germany, and it is said to date back to the 15th Century. The market is known locally as the 'Striezelmarkt', and takes its name from the 'Striezel' or Stollen, a sweet fruitcake that is the city's most famous culinary creation. There are many other markets to be found around the city, including some in the stable yards at Residenzschloss and others in the former village centre of Loschwitz, each of them with their own attractions. Blogger Traveling Igloo sums up his rather nostalgic experience of visiting Dresden Christmas Market with the words; "it all comes together to form a magic that puts a smile on everyone's face." Additional highlights of this tour, which will appeal to rail fans among you, are optional excursions to explore Dresden’s famous steam railway heritage. The tour leader will arrange trips to Cranzahl and Oberwiesenthal, Zittau, Freital-Hainsberg and Radeburg narrow gauge steam railways. Amateur steam railway photographer David Longman provides a visual and informative appraisal of the rail lines around Dresden his "favourite gateway into Germany." For a more poetic look at Dresden's railways this account of a visit to Oberwiesenthal appears on Today's Zaman website. Prague's Christmas markets are located in Old Town Square and Wenceslas Square where visitors seek out unusual food and drink as well as gifts and decoration. Czech carols can be heard round the market and visitors are also treated to the views of the beautiful surrounding architecture and dazzling lighting at night. Travel blogger Coffee, Cake and Culture shares her experience of Prague's Christmas festivities here. The tour includes optional visits to the nearby spa town Karlovy Vary and the fairytale looking Karlstejn Castle. To give you a taste of what to expect here is blogger Rococo Roamer's report on a very bohemian destination. Christmas is a traditional time of year and Ffestiniog Travel too enjoys tradition so once again we will be spending Christmas & New Year in Switzerland with our regular group of festive travellers and welcome new customers to join this very enjoyable tour of Switzerland's winter wonderland. The 12-day tour departing 22 December 2015 spends seven nights in Wilderswil and four nights in Rapperswil, allowing you to enjoy the freedom offered by the first class Swiss Travel Pass. The tour leader will arrange optional excursions each day as well as an excursion list for independent exploration. This is a very sociable tour when we will celebrate Christmas Eve with a torch-lit walk and carriage ride and on New Year's Eve there will be a celebratory dinner on one of the vintage dining cars on the Rhaetian Railways. Our stay in Wilderswil is again at the comfortable Hotel Bären and for a completely independent account of Christmas at this hotel here is one travel blogger's experience. 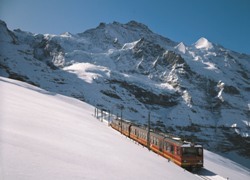 For a taste of the Rhaetian Railway in winter the RhB have a dedicated page of winter stories that make great reading. "Excellent - As always. Good ideas for trips when at centres is great. Staff always helpful and friendly. This was our first Christmas and New Year not at home. We thoroughly enjoyed ourselves as it was so different to what happens in the UK at that time of year. Having a choice of either doing your own thing or doing suggested journeys was very good." Please contact us direct on 01766 772030 to discuss a Christmas getaway this year either as part of one of our escorted tours or plan your very own Tailor Made festive escape based on anything you have read above.